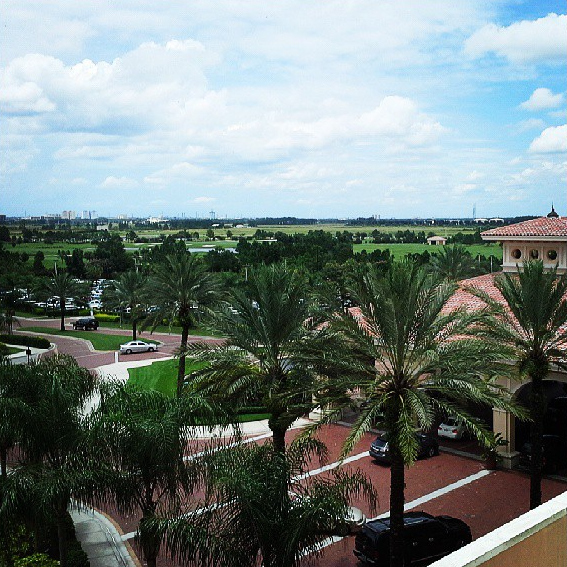 In a few short days I'll be in Orlando, ready for a weekend filled with amazing food, wine, friends old and new, time spent in a stellar resort, palm trees, and lots and lots of learnin'! Yes, I'm making a list and check it fifty times twice in anticipation of the second annual Food and Wine Conference! I may be a bit biased since last year's Food and Wine Conference was my first-ever blogging conference...and the fact that it was started by Isabel Laessig, founder of something near and dear to me, the Sunday Supper Movement. Plus, I get to spend an entire weekend with so many of my Sunday Supper family members - some of whom I met in person last year, all of whom I already feel close to since we spend so much (virtual) time together already. 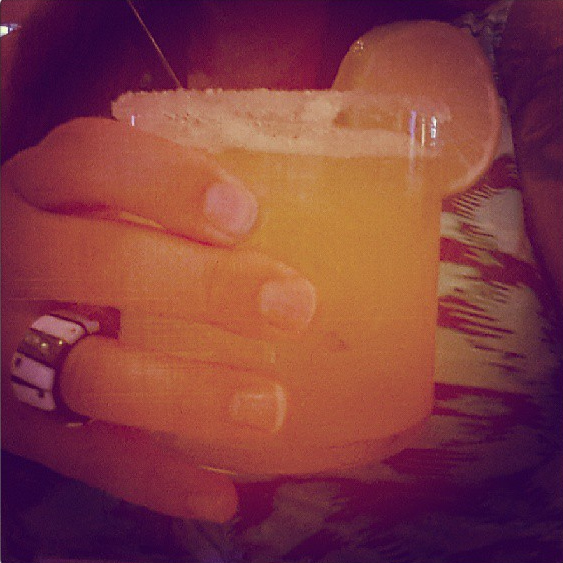 Margaritas on a hot and humid summer evening may also play into my excitement. This year's schedule is jam-packed with amazing sponsors, speakers, demos, workshops, meals, and networking opportunities. Friday kicks off with a Spud Soiree and a visit from the Big Idaho Potato Truck, as well as Jammer (the big strawberry) from the FSGA with a welcome contest. Later than evening, we get to enjoy a Taste of Rosen Shingle Creek, which is basically a huge offering of small plates representing each of the amazing dining options offered at Rosen. But nestled right in between those two opening night events is what will probably be my not so secretly favorite part of the night - a Wine and Cheese Blogger Blend hosted by Sunday Supper sponsor Gallo Family Vineyards. First of all, I could (do) enjoy wine and cheese for a living. Second of all, it's thanks to Gallo Family that I'll be able to attend this year's conference CARE FREE. Why care free? Well, let me back track for a minute. 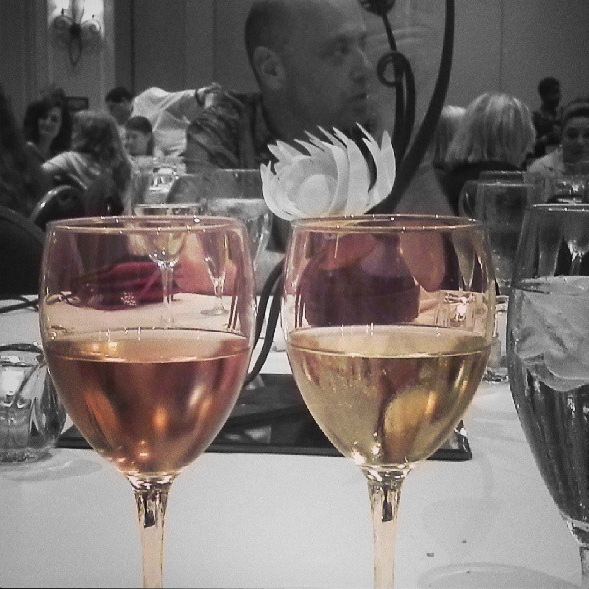 This is a shot of Gallo Family's White and Pink Moscato from last year's Sunday Supper on Saturday. It was the first time I'd ever tried (or heard of) PINK Moscato. We sipped it with dessert, and it was such a light, effervescent pairing with our rich brownies. Fast forward to May of this year. Gallo invited some of the Sunday Supper members to create a recipe featuring one of their three varieties of Moscato in honor of National Moscato Day. Thinking back to last year's conference, I knew that I would be making something using the pink variety. I wanted to create something summery and bold, something that would showcase the beauty of the Pink Moscato. Since their Pink Moscato has hints of fresh red berries and orange blossom, I worked those flavors into my quintessential summertime treat - popsicles! 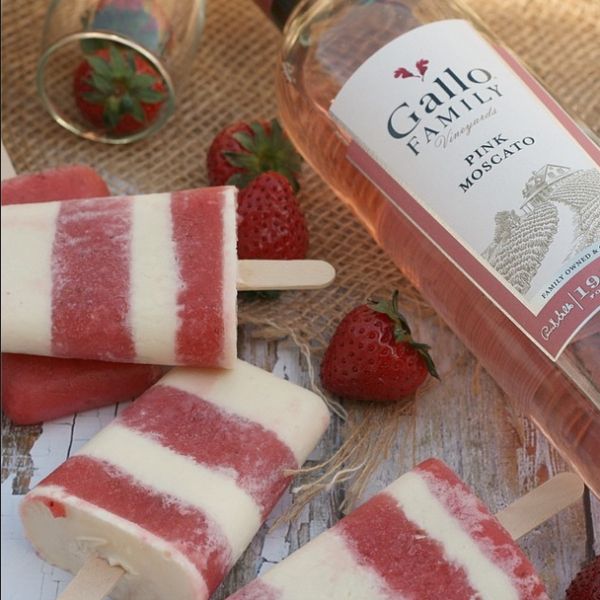 I created Strawberry Pink Moscato Ice Pops with a red layer of juicy berries and Pink Moscato and a delicate, creamy orange blossom-scented white layer. They wound up being in my top 3 favorite of all time (and I've made a LOT of ice pops). So, back to present day, I'll be enjoying this year's Food and Wine Conference care free because Gallo liked them, too! My ice pops were chosen as a favorite of the Moscato posts, which meant that I won a free Food and Wine Conference ticket, plus travel and hotel room. And while the conference itself is very affordable (compared to others I've seen), the conference pass plus plane tickets and hotel room adds up quickly. So, thank you Gallo Family! Okay, so I haven't even begun to tell you about Saturday and Sunday. Saturday's packed with awesome speakers, including the first-ever Masterchef winner, Whitney Miller, and contestant on Food Network Star (and one that I was pulling for - she was in my top 3 along with Ippy and Justin), Emily Ellyn. We have amazing sponsors, sessions, and even breaks (Bloody Mary and Mimosa Meet and Mingle, anyone!?). 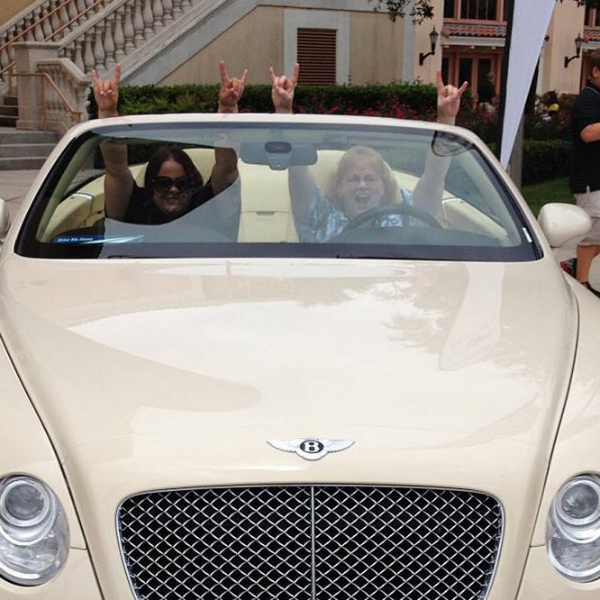 Fields Auto Group is back this year for our Saturday tailgate lunch, and I'm hoping they'll bring back my Bentley. I can't wait to gather around the family table on Saturday night for an amazing meal and wine pairing with Gallo Family wines and Certified Sommelier, Jenny Hemmer, CSW, CSS! Sunday will be filled with demos and workshops at Rosen College of Hospitality, which is right next door to Rosen Shingle Creek. Now, I don't have time to talk about each sponsor and speaker individually - it would take hours to read this if I did. But the line-up of both is incredible. You can drop by the Food and Wine Conference website sponsor page and speaker page to see who all will be there.